Mr. Shah has been with Real Estate Division of Perfect Group since 2008. 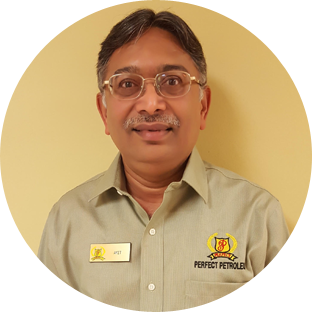 His job duties include bookkeeping pertaining to all real estate, payments, rent, billing, reconciliation, Invoicing, loans and insurance payments, consignment gas account and sending out daily gas prices. Mr. Shah was into retail side of gas station business before joining Perfect Real Estate division.